Exciting isn't it? Thank you STAR newspaper for publishing this. 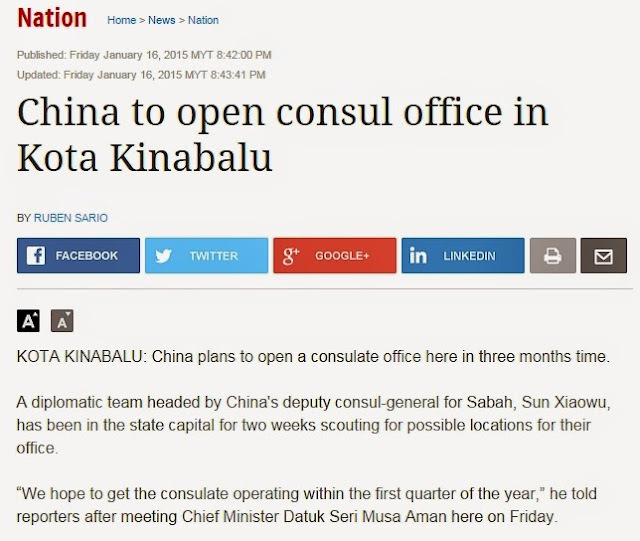 Is the new China Consulate is open? YES it is. The new China Consulate is located at VIP Lot, near City Mall at Jalan Lintas. However, as of today (7th May 2015) it is not able to issue China VISA to anyone yet. 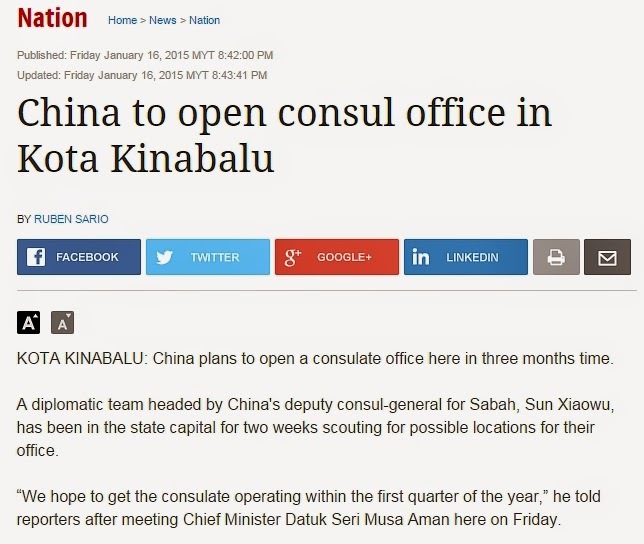 I had a tele-conversation with Mr Wong of Sabah China Consulate and he confirmed that they are able to handle any other matter here in Kota Kinabalu, especially for Chinese Tourists from Mainland China but not visa issuance. It might be available in future but it all depends on the responsible ministry to approve it. China Embassy of Kuala Lumpur. 2. You are from West Malaysia but your address in your IC is Sabah/Sarawak address. 3. FYI, you can send your passport to the local Travel Agent to make visa but you must provide the copy of your return air-tickets. p/s: I wished to go to china as frequent as possible, that's why I share this. I believe all bloggers have the same curious and inquisitive character to be well updated and ahead of new developments. It is really high time the new China's consulate should be opened there as their country is the top choice now for travelers. 1. What is the phine number? 2. Where is the address?